Welcome to Superior Power Equipment! We believe in providing superior parts and service. Trust your equipment to us. After all, our first name is SUPERIOR! 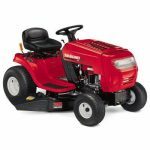 Superior Power Equipment is in the business of servicing all types and brands of small engines, lawn mowers, tillers, chain saws, string trimmers, blowers; virtually any type of power equipment. We service Briggs and Stratton, Echo, Honda, Husqvarna, Jonsered, MTD, Murray, Redmax, Troy-Bilt, Shindaiwa, Stihl, and virtually any other brand that is currently being manufactured or has ever been manufactured. 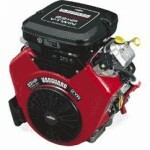 Basically, we service anything with a small gas or diesel engine. 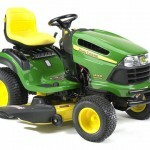 For a more detailed list of power equipment types and manufacturers visit our Parts Counter page. Contact us regarding specific questions. Whether your equipment simply needs a tune-up or major repair, Superior Power Equipment can do it. Whether you have only one machine or an entire fleet, we can do it! We can service Fire Department fleets, Government fleets, Professional Lawn Care Provider fleets, and much more! We can service your engine, transmission, mower deck, blades, belts, chain saw chains, chain saw bar, trimmer head, trimmer shaft, or anything associated with your power equipment. We service equipment in the Ashland, Centralia, Columbia, Hallsville, Harrisburg, Moberly, Sturgeon, and surrounding communities. If you have questions or comments, please contact us at 660-281-1965 (call or text message), by contact form, or on our Facebook page. Visit and “Like” our Facebook page! If you liked the service you received, leave us a positive review on our Facebook page!